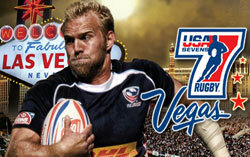 Round 2 of the 2019/2020 World Sevens Series takes place is Cape Town, South Africa and we are now taking advanced registrations for the event. 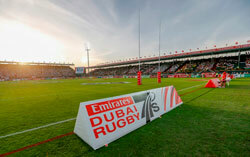 The Cape Town Sevens is extremely popular with locals and every year the finals day (Sunday) is sold out within hours of tickets going on sale. Once again Atlas Group Travel will be organising quality official ticket inclusive travel packages for this popular event by using our tried and tested Tailor-Made Service, building a unique package based around your personal requirements and at a price that you feel comfortable with. 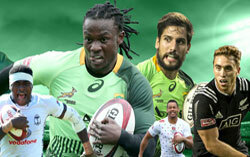 Your Cape Town Sevens tour, will be the tour you tell us you want. Cull us today on FREEPHONE 0800 999 65 66 for further information. * All known Airport taxes and security charges at the time of booking. * 4 Nights accommodation in a choice of hotels. * Official 2 day match tickets including hospitality. (At Cost). * Services of an Atlas Group Travel Representative in Cape Town. * Local taxes and VAT. * 2 Star to 3 Star - From £945 per person, 2 sharing. * 3 Star to 4 Star - From £998 per person, 2 sharing. * 4 Star to 5 Star - From £1,050 per person, 2 sharing. * 5 Star plus - From £1,269 per person, 2 sharing. The above 'from prices' are based on the best flight prices currently available and for a minimum group size of four passengers travelling together. * On site hospitality venue , located on the Eastern side of the stadium. * VIP Entrance to the stadium. * Fully furnished facility - lounge, deli and cocktail style set up. * 2 x 2 Course buffets with snacks served throughout the day. * Complementary bar serving beers, wines, spirits & soft drinks. * Reserved prime seating located just 30m from facility. The cost of the 2019 Official Match Tickets/Hospitality is not known at this stage, but will be sold at cost and added to the travel & hotel package prices as a supplement. The cost of the full weekend Ticket/Hospitality for the 2018 Cape Town Sevens was approximately £290 per person - but is dependent on the exchange rate at the time. > Private transfer from your Cape Town hotel to the Game Reserve. > Lunch upon arrival at the lodge and daytime Nature Walk..
> Evening Safari Drive with Dinner at the lodge. > Breakfast the next morning with time to relax. > Lunch at the lodge. (Depending on return flight times). > Private transfer from Game Reserve to Cape Town Airport. If you stay more than 1 night, then the daily routine is repeated. * Return International flights. (Economy, business or 1st Class Seats). * 4 Nights Quality accommodation in a selection of hotels. * Private return Airport / Hotel transfers in Cape Town. * Pre-organised welcome dinner for your Company & Guests. > Facility opens at 10.00hrs and closes at 21.00hrs. > Entrance tickets to the Network Lounge. > Prime stadium seating just 30m from facility. > Fully catered and staffed facilities. > 2 Daily buffet meals and snacks throughout the day. > Complementary open bar serving spirits, beers, wines and soft drinks. > Private area available on request for bookings of 50 or more guests. > Your Company branding also available on request. A Private Game Reserve can also be added to a Corporate Package.